Agriculture disinfectants are used for protection of crops and livestock. These are available in different forms such as sanitizing water, liquid, powder, aerial, and granules. There is a need for appropriate disinfection for protection of livestock and crops in order to sterilize them from microorganisms. Disinfectants are added to cleaning surfaces and farmyards, drinking water to protect animals and plants from harmful diseases caused by bacteria. Growing health concerns of animals and demand for healthy food are main factors attributing to the growth of agriculture disinfectants market. 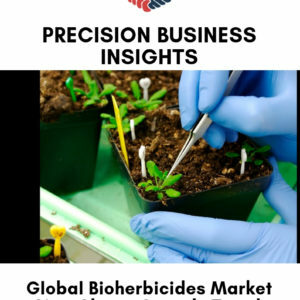 Furthermore, the rise in consumption of milk, meat and other products, growing adoption of greenhouse vegetable farming and vertical farming, rise in inclination towards healthy cultivation and demand for high yielding are other factors expected to drive the market growth of Agriculture disinfectants market. 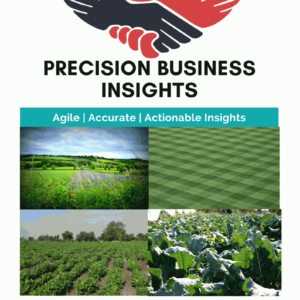 However, lack of awareness regarding the benefits of disinfectants usage and availability of adulterated products are expected to restrain the growth of the agricultural disinfectants market. 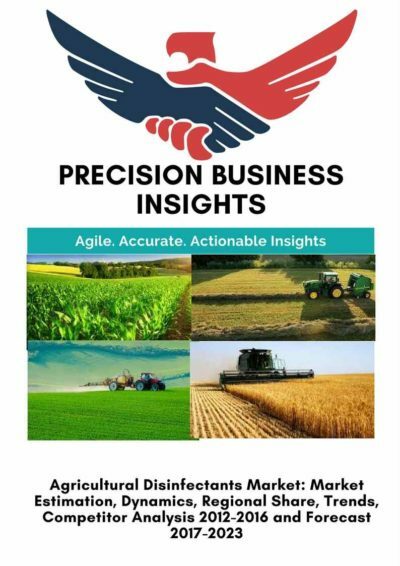 The Global Agriculture Disinfectants Market is classified on the basis of type, application, form and geographical regions. Agricultural disinfectants are available in various forms. A suitable form of disinfectant is to be used to get effective results and optimum protection for the crops and livestock from the harmful diseases and microorganisms. Framers are focused on prevention rather than curing of the diseases due to high cost of supplements and chemicals or medicines used to treat the issues. Hence, robust investments in R&D to develop novel products are expected to enhance the market share. 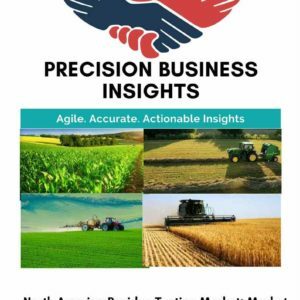 Moreover, major market players of agriculture disinfectants are adopting various growth strategies such as acquisitions, collaborations, agreements, and partnerships to enhance their market presence and product portfolio. Geographically Agriculture Disinfectants Market is segmented as Latin America, North America, Asia Pacific, The Middle East & Africa and Europe. North America Agriculture Disinfectants Market expected to account for significant market share in agriculture disinfectants market owing to high inclination of farmers towards the usage of disinfectants for livestock. Europe also holds a significant position in agriculture disinfectants market due to presence of large agricultural field, high consumption of meat and milk products, the largest producer of fruits and vegetables. Asia Pacific Agriculture Disinfectants Market is anticipated to show rapid growth due to rise in disposable incomes of farmers, rapid adoption towards technological advancements, growing awareness regarding health and sanitation of livestock and crops, growing population, and rise in demand for food products. 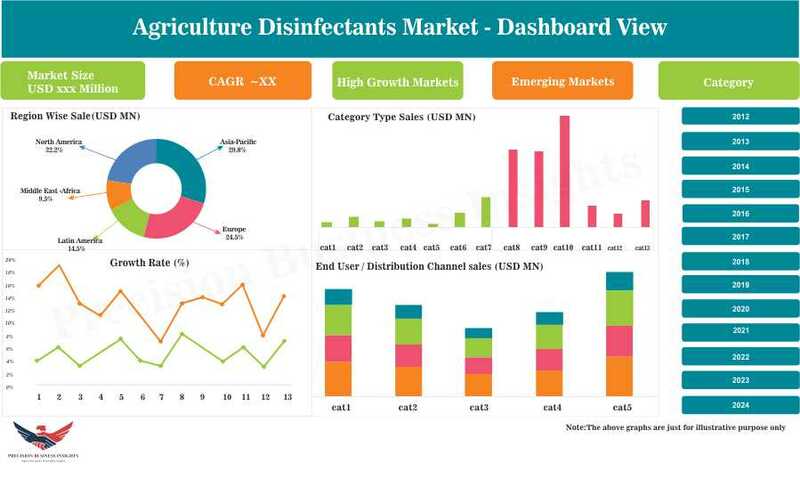 Some of the players in Agriculture Disinfectants Market Zoetis (U.S.), The Chemours Company (U.S.), Nufarm Limited (U.S.), Neogen Corporation (U.S.), The Dow Chemical Company (U.S.), Stepan Company (U.S.), FINK TEC GmbH (Germany), Entaco NV (Belgium) to name some few. In December 2016, Neogen Corporation acquired Quat-Chem Lt., which is UK based company that agricultural, industrial and food processing biocidal hygiene products, cleaners and disinfectants.